This organic basket is the perfect gift for a baby of all ages. It contains organic cosmetics for children's hygiene free of toxic substances. WITHOUT: Parabens, phenoxyethanol, alkaline soaps, alcohol, and dyes, SLES or PEG. It also includes a green laundry detergent. 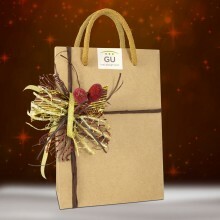 This pack is gift wrapped in a reusable GU design bag. 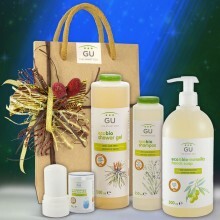 Composed of healthy and organic cosmetics, respectful with the environment and the delicate skin of the smallest ones. All products have been dermatologically tested on sensitive skin, and they are free of Parabens, phenoxyethanol, alkaline soaps, alcohol, dyes, SLES or PEG. An organic moisturizer containing Aloe Vera and extracts of Seaweed. Specific treatment for babies or people with atopic skin. Helps to soothe irritations reducing skin itching and discomfort. Contributes to increase skin resistance against external irritant factors. Organic and biological water-based ointment for diaper change. Specially designed for preventing irritations in the buttock area, isolating the baby's skin from impurities. 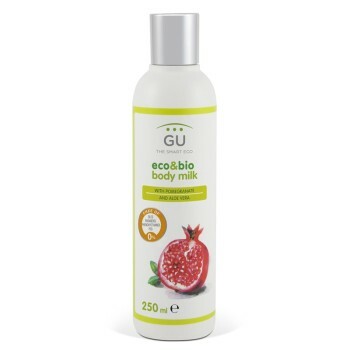 It contains Zinc Oxide, Glycerine and Shea Butter from organic farming. Suitable for most delicate skin, even atopic. Thanks to its high lipid content it is easy to spread. Organic and biological gel-shampoo specific for body and hair care of newborn and children. With organic farming proceeding ingredients. With extract of Avena sativa, which provides softening and soothing properties. Suitable for all skin types, especially those prone to irritation. Organic 100% natural lotion against mosquitoes based on pure plant extracts and essential oils of andiroba and geranium, that naturally repel mosquitoes and flying insects. Hydrates and absorbs quickly without staining or greasing the skin, bringing a delicate natural aroma. It does not alter children or adults ph. Mild soap for baby clothes formulated with surfactants derived from plant raw materials extracted from natural renewable sources. With biodegradable emulsifier from organic olive oil. For washing machine and hand-wash. 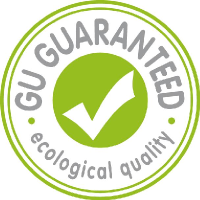 In GU we pledge our products respect the health of the entire family, and therefore beyond the guarantees of organic certification and European quality, each of our products pass the GU quality control. This means that they are subjected to a thorough analysis of the entire composition to ensure they do not contain ingredients considered harmful to your health and the planet. Want more information about harmful ingredients? We inform you!